Immediate Actions Needed To Protect Orcas! Re: Immediate Actions to Protect Orcas! Washington State Governor Inslee’s “Southern Resident Killer Whale (SRKWs) Draft Task Force Report” will be released on October 1st. The report is addressing the numerous actions that governments and businesses have failed to implement over the years to protect the endangered SRKWs. Will both the US and Canadian governments call for Immediate Actions to Protect Orcas? It’s a Matter of Life or Extinction! For Public Comments you can copy and paste the following 5 immediate life-saving actions - Please use this link to submit any feedback or comments to the Southern Resident Killer Whale Task Force (SUBMIT 5 IMMEDIATE ACTIONS HERE.). Implement a Moratorium on Whale Watching the SRKWs whose family numbers only 74. In order to get food for the starving orcas there must be 5 year moratoriums on salmon fishing. 3. Increase Boater Awareness Education! The public, industries and others must be better educated! 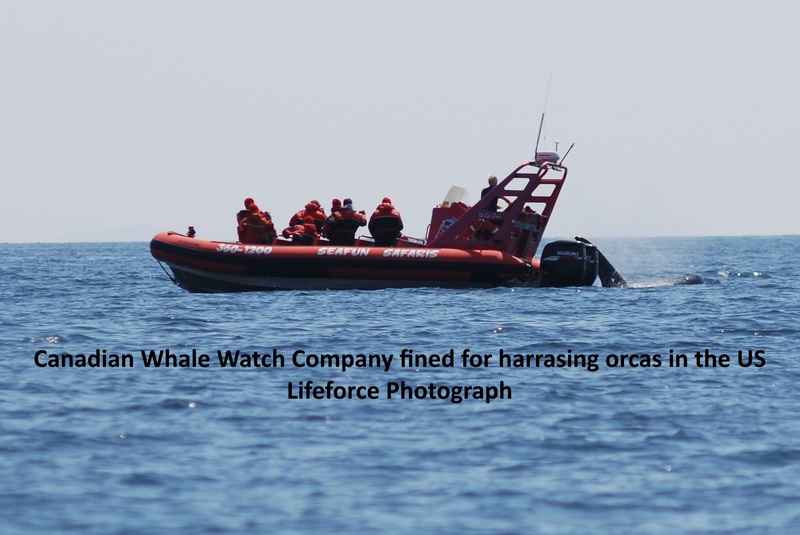 Training by marine associated businesses and associations must include Marine Mammal Regulations and how to properly operate boats for the safety of both orcas and people. 4. Call Them! Don’t Bomb Them! The use of passive orca playbacks must be a priority for oil spill responses NOT seal bombs and other possible harmful methods presently listed as response methods. Playbacks can attract orca pods away from oil spills and other dangers. 5. Stop Invasive Experiments that Resulted in the Death of a SRKW! Sentient, endangered orca families must not continue to be treated as research tools. They are being studied to death and it must stop! For example, a dart tracker caused an infection that led to the death of an endangered SRKW. There is no need to use dart trackers. Invasive Experiments Information Here.